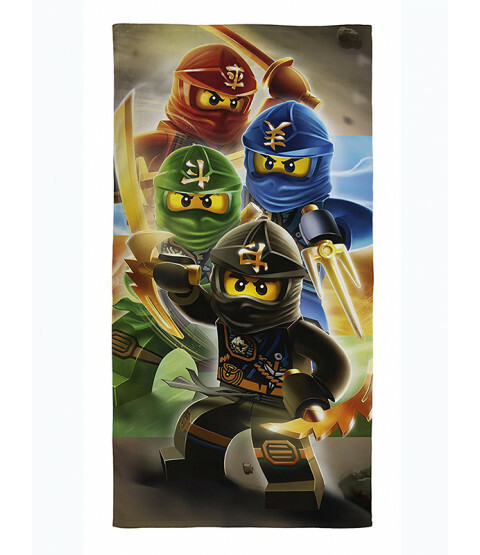 This Lego Ninjago Eyes Beach Towel can be used on the beach, by the pool or at bath times. 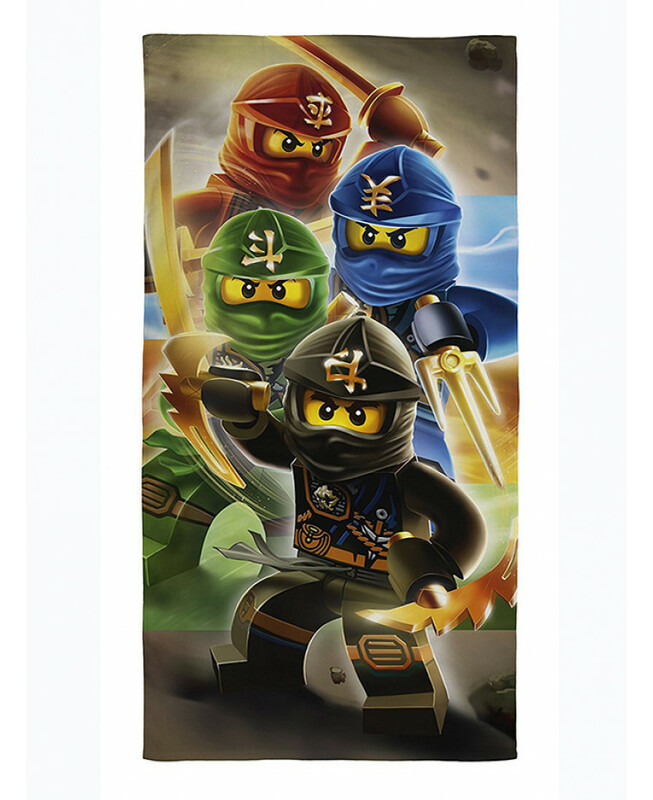 The large cotton towel has a soft velour feel and features Lego ninjas Jay, Kai, Cole and Lloyd. This towel can be machine washed and tumble dried on a low setting.